Attention coffee aficionados: Soul Brewed Coffee Roasters is moving from downtown Eau Claire to Artisan Forge Studios in August. 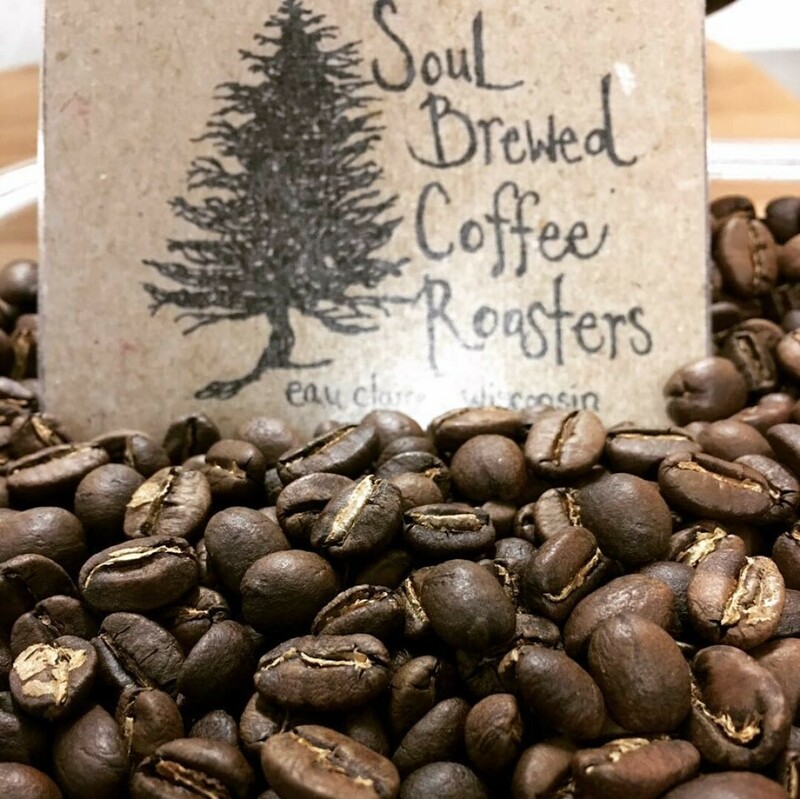 Troy and Elaina Hoyt, the owners of Soul Brewed Coffee Roasters, explain, “We love the vision that AFS has for Eau Claire. We’ve worked with them multiple times in the past and we get along really well. It makes us feel good when people look at what we do (as a coffee roaster) as more than just coffee. It is our craft, and we work super hard at it.” Troy and Elaina met the employees at Artisan Forge, 1106 Mondovi Road, at one of the collaborative art space’s artisan markets. “Everyone that works out of there right now is super talented, and (they) have always been very friendly to us,” Troy says. One benefit of moving to Artisan Forge is that they’ll have more space than Soul Brewed’s current location, 309 E. Grand Ave. “Currently, due to lack of space, our shop is not conducive to an educational/community-involved environment,” Troy says. “In our new space, customers will be able to watch the roasting process and participate in cuppings. Eau Claire has made us who we are so far, and we want to provide the community with something unique for them to enjoy.” He continues: “Our short-term goals will be focused on this summer. We’ve got a lot going on that we want to make sure goes smoothly: the farmers market, ValleyCat, Rock the Riverfront with RCU, different Bike Week events, just to name a few. “Our long-term goals,” he adds, “are creating a coffee-based community-centered area and changing how Eau Claire views coffee. The move to AFS will be our key to accomplishing that goal. We really want to focus on getting involved in the different communities in Eau Claire. We have a couple cool things lined up in conjunction with Pine Hollow Studio that we are excited about. We want to be able to focus on fun opportunities like that.” Learn more online at facebook.com/soulbrewed.